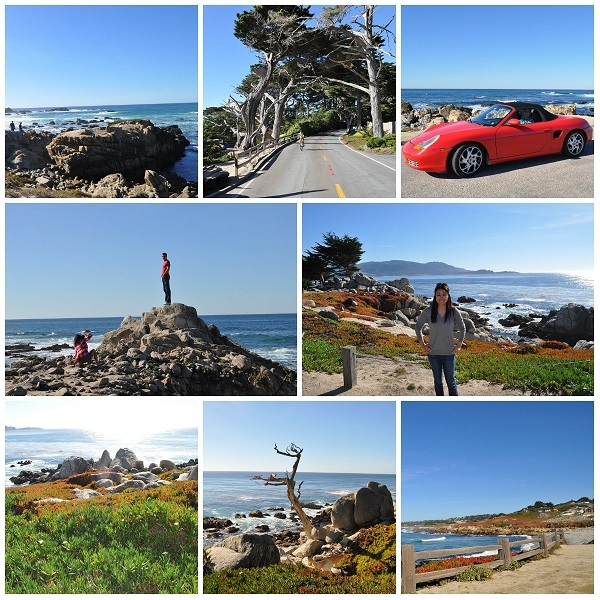 The Hip & Urban Girl's Guide: 17-Mile Drive: Hit The Road, Jack! 17-Mile Drive: Hit The Road, Jack! Now I get what California Dreaming is all about! The next stop on my Pacific Coast Highway 1 drive is Monterey Bay which also takes me through a winding loop known as the 17-Mile Drive <-- this is by far my favourite part of this road trip! 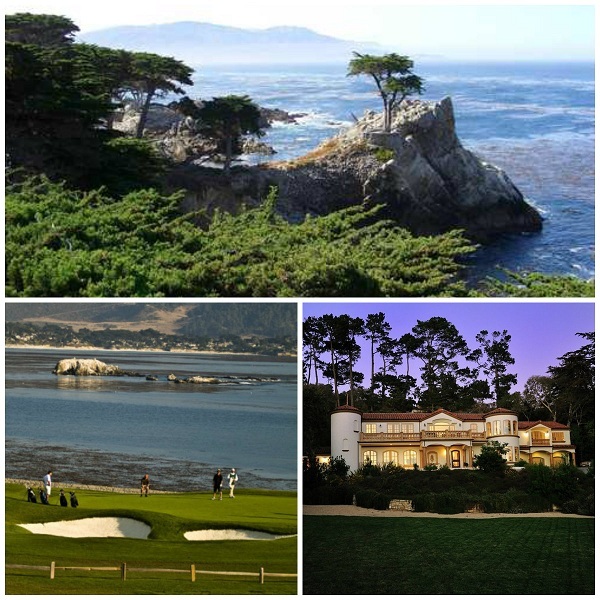 This scenic route hugs the Pacific coastline and passes through the affluent Pebble Beach community. $500 gets you a round of golf at one of the fabled golf courses, $10 million buys you a mansion next door to Clint Eastwood, and the coast’s signature cypress trees... well, they are free to gawk at. The view? Priceless! Start your engines in Pacific Grove where you pay a $9 toll (includes a map). Tip: if you present the receipt at one of the restaurants along the way and spend a minimum of $25, you can get the toll fee back. There are 21 landmarks - each telling it's own unique story. The actual drive takes about an hour but if you are click happy like me, budget an additional 60 mins to stop at the numerous turnouts to take pictures and admire the ocean. 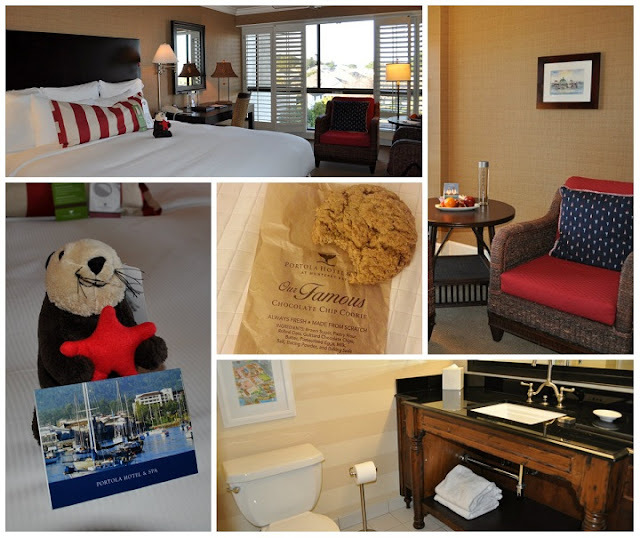 After all the oohing and ahhing and 98 photos later... we checked into the Portola Hotel & Spa - located in Monterey which is conveniently 10 mins from the 17-Mile Drive. There's no feeling quite like cozying up in a luxe hotel room after a long day of excitement and adventure. Geoff and I had a fireside dinner at the hotel restaurant "Jacks". I recommend starting with the Roasted Corn and Crab Chowder or Crispy Monterey Bay Calamari, followed by Braised Short Ribs served with their house made BBQ Sauce. In the AM, they serve a Bottomless Mimosa Breakfast! We then retreated to our Harbor View Room where I enjoyed a hot shower with Green Natura organic bath amenities before sinking into the plush king bed. Hubby managed to find enough energy to hit the gym (it's opened 24 hours). At midnight we snacked on complimentary chocolate chip cookies and a bowl of fruit that the Manager had left for us along with a welcome card... thoughtful touches. I woke up the next morning rejuvenated and ready to hit the road again. Monterey is an old sardine cannery village so if you can pry yourself from the comforts of your hotel room, take a stroll or bike the path. 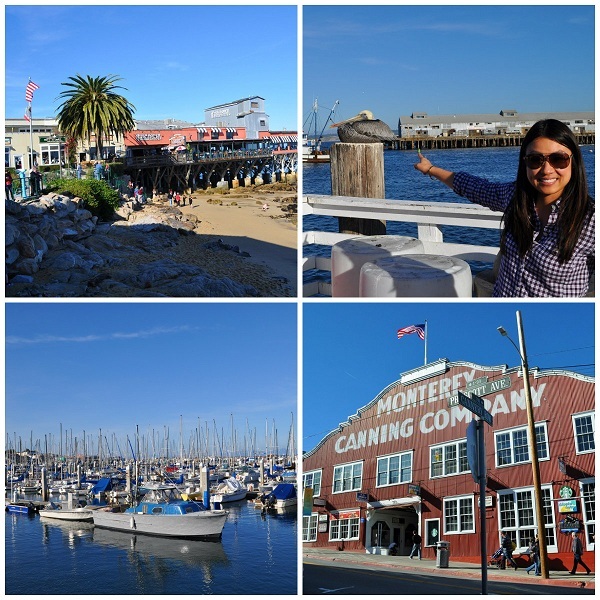 You will pass by landmarks like the Del Monte Beach, Fisherman’s Wharf, the Monterey Bay Aquarium and Cannery Row. If you are bringing along the little ones (ages 3-12), check out Portola Hotel's Pirate Kids Program. Rates start at $163 per night for a standard room. Parking is an extra $17 and $20 for valet services. Wifi is available in the lobby and $10 if you need to connect in your room.